While driving the Chrysler 300, you'll have total control and access to a variety of convenient tools. As you cruise along roads, streets, and highways, major problems won't stop your progress because you can easily spot inefficiencies early by monitoring the Driver Information Digital Cluster. During a road trip, up-to-date information keeps drivers safe. The Chrysler team understands this, which is why the 300 is equipped with dozens of great driving tools that enhance performance and safety. The new Ram ProMaster is a capable and sturdy cargo vehicle. The new ProMaster provides drivers with a number of features that can surprise and satisfy. Among these features are specialized loading capabilities as well as stable suspension systems. The Ram ProMaster provides surprising amounts of interior room that can handle all sorts of cargo. Not only that, but this vehicle also includes special wide bay doors that can accommodate freight from forklifts and other forms of machinery. This feature can come in handy when ProMaster drivers need to load and unload freight quickly. The Dodge Durango is a powerful, roomy, and iconic full-size SUV. The new Durango comes in several available packages that include Towing, Anodized Platinum, and even Black Top. Even though this vehicle provides a variety of external features and accessories, it's also equips drivers and occupants with many other useful internal accoutrements. These include specialized dual screen entertainment systems for passengers as well as easy to see driver information systems. The Jeep Cherokee has been updated, including its exterior features. The classic look has gone away and been replaced with sharper headlamps, new fog lamps, and a sporty grille. There are also tons of new options available for the Cherokee, including fantastic off-road capabilities and new sensors. The updated exterior features also make it possible to get more colors, including pearlescent hues for some of the upgraded trims. The defined lines and aerodynamic curves of the Cherokee speak to its viability as both a sport vehicle and off-road utility vehicle. What Exterior Features Come With the Ram 2500? Are you looking for a new heavy-duty pickup truck? The Ram 2500 is an exceptional model that is a favorite at Straub Chrysler Dodge Jeep Ram. Our consumers choose this model because it comes equipped with numerous exterior features that you can read about below. The available class-exclusive RamBox Cargo Management System is featured with the 2500. This is a durable, lit, and drainable storage system that is built into the side rails of the truck. You can also opt for the available AllSecure Central Locking System. On the road, the Dodge Durango travels to various destinations without burning a lot of gas. This automobile is designed for adventures in and around town because it's equipped with a highly efficient, professional-grade 3.6-liter engine. We sell the Dodge Durango since it's a very popular vehicle option in Dodge's product line. The fuel efficiency hardware makes this particular automobile a practical option for lengthy trips because it interacts nicely with the 295-horsepower engine. The new Jeep Cherokee is one of the top compact SUVs in the US right now, according to US News & World Report. Known for its unique design and space, the Cherokee offers a high quality cabin that has soft-touch materials and cushioned seats that are comfortable even on long road trips. You can take the Cherokee anywhere for a variety of purposes, however, and there are plenty of ways to customize and upgrade your Jeep. The seating uses standard cloth upholstery on all seats. You can upgrade to different upholstery, such as leather. Let your sense of adventure lead you to new places and experiences when you drive home in a new Jeep! The new Jeep Wrangler comes with automatic traction sensors, so the driver does not have to activate any switches to make the sensors come alive. The vehicle simply understands when the weather is getting worse. Even better, the traction sensors manipulate the vehicle to go from 2WD to 4WD. This is expected to help people keep free from accidents while in inclement weather. In the full-size luxury sedan class, Chrysler has a history of offering drivers superior automobiles. Its popular 300 seeks to maintain that tradition with a comfortable interior, sleek exterior, updated technology options and improved road performance for an excellent driving experience. Customize your vehicle by choosing wheel options that reflect your personal taste and driving expectations. There are hubcap design options to choose from and a selection of wheel sizes ranging from 17 to 20 inches for a wider tire and improved driving. At Straub Chrysler Dodge Jeep Ram, we know that Glen Dale drivers like to save money. 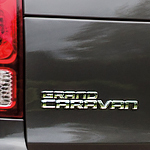 When you save fuel, you also save cash, and the Dodge Grand Caravan can help. Born in the 1980s, the Grand Caravan was the first minivan. Take a deeper look now at its fuel efficiency aspects. Before you step into a new Dodge Grand Caravan, you will notice its low rolling-resistance tires. These 17-inch, all-season tires safely move Grand Caravan forward while saving gas.